I think I was in fourth grade when my school started getting in the Troll Book Club. It was a pamphlet that you could order books from and if you ordered a certain dollar amount worth of books you would get a free poster, which was often of adorable little animals. 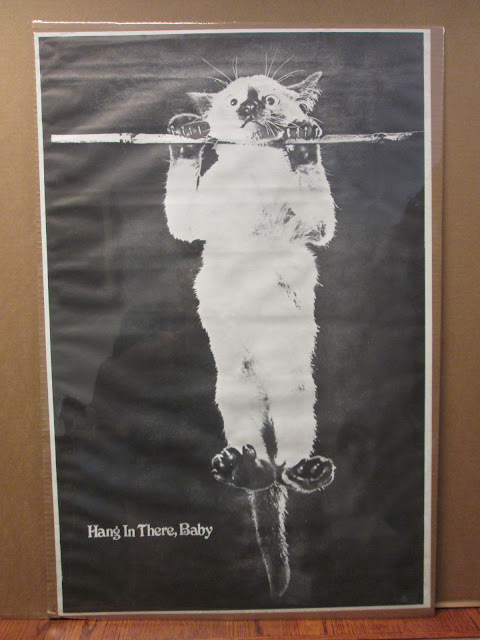 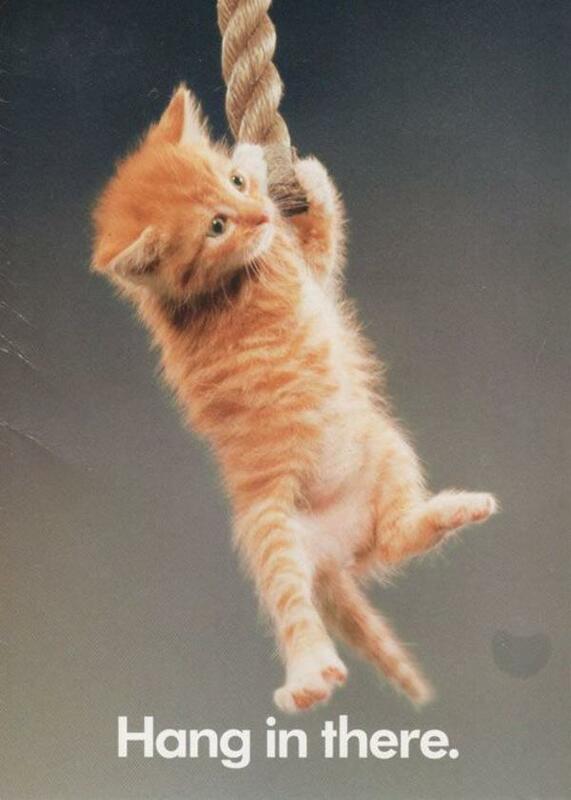 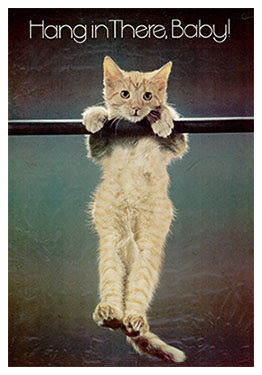 I always wanted the "Hang in There" cat poster, and I never did get one. 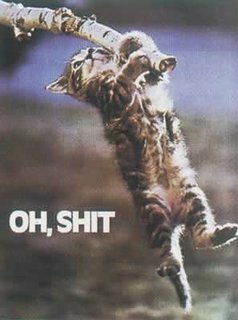 So basically it was Successories for the kiddos in fourth grade. 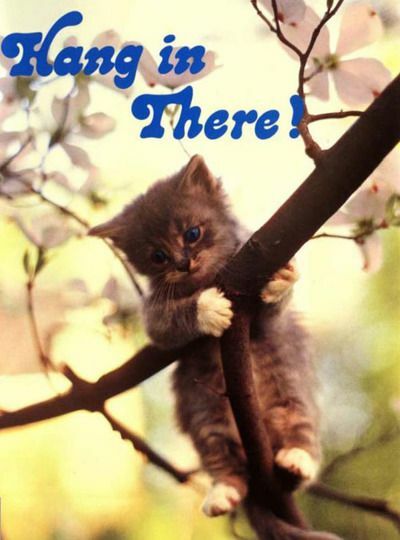 I don't know what was so stressful that we needed encouragement like this back then, but I decided to remind myself of how wonderful these posters are and I thought I would share my findings with you! Hang in there baby, you can do anything! 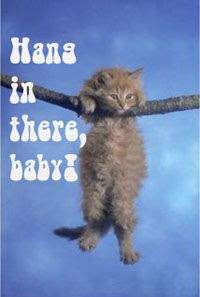 Sometimes you just need to be reminded you can get through this tough time.